Located in central Italy, the region of Lazio is most famous for the country’s capital city. 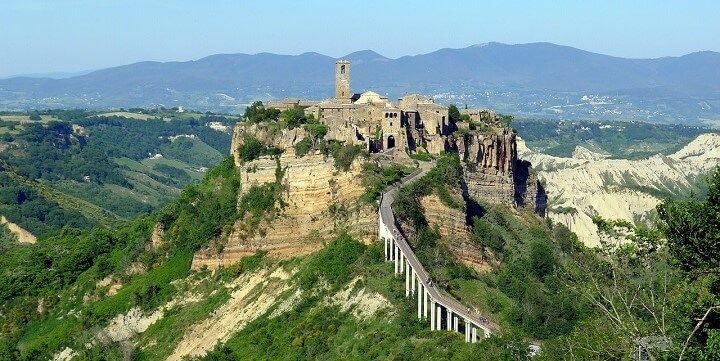 The list of things to do in Lazio, however, extends well beyond Rome’s sights. Don’t leave the area without exploring its gorgeous coast, stunning valleys, and ancient towns and villages. The perfect Rome itinerary naturally includes its world-famous landmarks, such as the Colosseum, a huge Roman amphitheater built around 70 A.D., and the Roman Forum, an ancient archaeological site. The Pantheon, meanwhile, is a burial place for many of Rome’s most important figures and kings, while the Trevi Fountain is popular among tourists tossing their coins into the water to apparently guarantee their return to Rome. 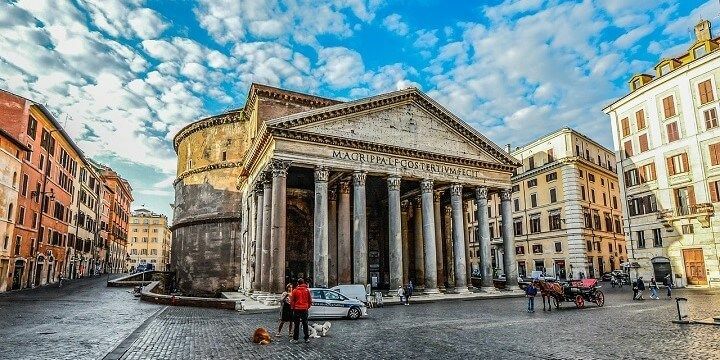 The Pantheon is a burial place for many of Rome’s most important figures and kings. Some of the best places to eat out in Rome can be found around the Piazza Navona. If you’re cooking for yourself, however, head to the Campo de’ Fiori Market, Rome’s most popular fresh fruit and vegetable market. 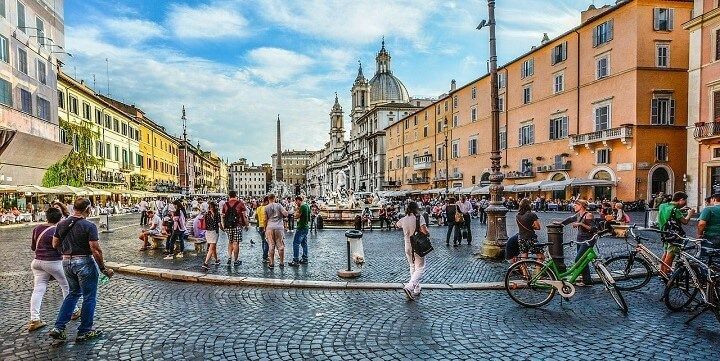 The Piazza Navona is a great place to eat out. Alternatively, check out the Jewish Ghetto for tasty artichokes, falafel, and fried zucchini, or the up-and-coming Pigneto district for trendy cafés and bars. Great nightlife can be found in the former working-class area of Testaccio, or you can indulge in some late-night retail therapy at the spectacular Galleria Alberto Sordi shopping center, with stained-glass skylights and mosaic floors. 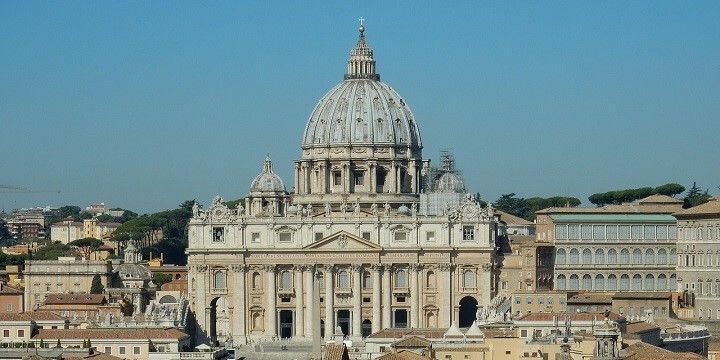 At just 0.44 square kilometers, the Vatican City, which is carved out of Rome, is the smallest country in the world and famous for being home to the Pope. Start your visit at the country’s heart, St. Peter’s Square, before heading to the world’s largest church, St. Peter’s Basilica. St. Peter’s Basilica is the world’s largest church. Don’t leave without climbing to the top of the dome for unbeatable views over Rome, or heading underground to see the catacombs. Afterwards, check out the Vatican Museums for over 70,000 pieces of art and other artefacts, including Michelangelo’s Sistine Chapel. Located to the North of Rome, the walled city of Viterbo is extremely important among Catholics, as it functioned as a papal seat in the 1200s, and its cathedral is said to be built on an ancient temple dedicated to Hercules. Be sure to stroll around the quiet San Pellegrino Quarter, with peaceful old cobbled streets. The walled city of Viterbo is extremely important among Catholics. Alternatively, travel just two kilometers from the city center to reach the tranquil Therme dei Papi hot springs, with well-preserved indoor and outdoor Roman baths. Latina is home to Lazio’s best beaches and natural beauty. The 83-square-kilometer Circeo National Park is popular among horseback riders, cyclists, and hikers who want to climb the park’s 236-meter-high peak. The park is also home to Italy’s largest plain forest area, the Circe Woods, where you could spot wildlife including boars and eagles. Head off the mainland to explore the six small Pontine Island. 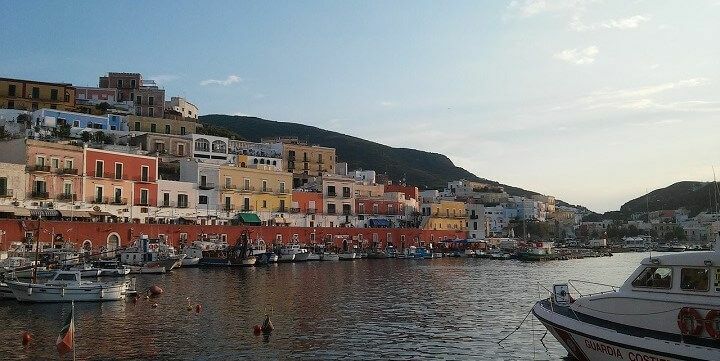 The most popular of these is Ponza, which measures a mere eight square kilometers. Ponza is one of Lazio's six Pontine Islands. It has a mix of rocky and sandy beaches for sunbathing and scuba diving, as well as plenty of local artists’ studios and traditional restaurants if you want to enjoy a bit more Italian culture. The Ciociaria region is home to a number of small villages, such as Anagni, which features a gorgeous Romanesque Cathedral. Anagni is a great destination for a day trip from Rome. Alatri, meanwhile, is home to some of the best-preserved polygonal walls in Italy. The nearby La Cascata, on the other hand, will wow you with an impressive waterfall and bustling waterfront promenade. Lastly, Frosinone, Ciociara’s capital, is popular for its Piazzale Vittorio Veneto, which offers spectacular views over the surrounding valleys. With plenty of greenery, Ciociaria is perfect for hikers. Be sure to explore the challenging Arnici and Ausoni mountains, as well as the beautiful Posta Fibreno and Cardito lakes. The area’s valleys are also home to vineyards growing the much-loved Cesanese red wine, as well as impressive ski resorts with peaks of up to 2,000 meters. 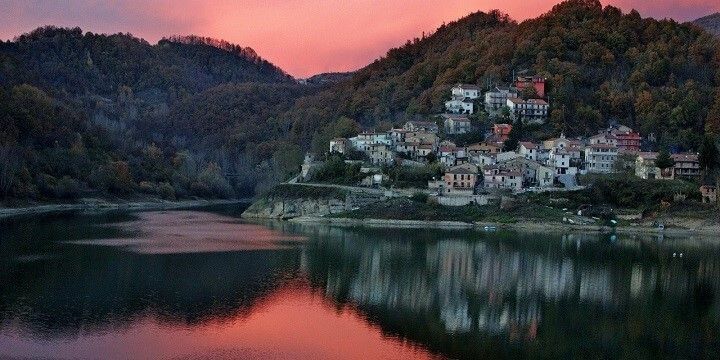 Situated on the slopes of the Sabini and Reatini mountains, Rieti is another great spot for hikers, who can enjoy the nearby Terminillo and Leonessa mountains. These peaks are also popular among skiers in the winter and mountain bikers during the summer. Rieti is a great spot for hikers. 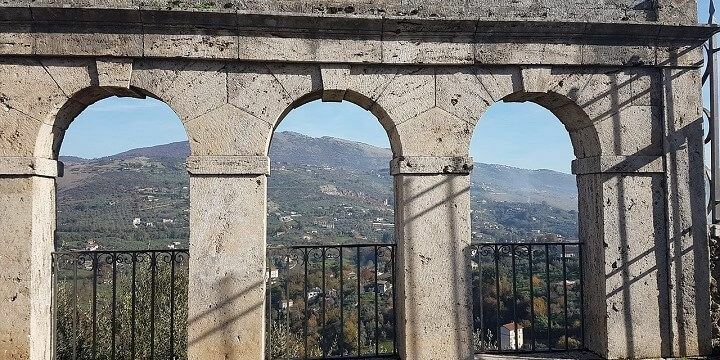 In the town of Rieti itself, don’t miss out on an underground tour of an Ancient Roman viaduct, or the Palace of the Prefecture, with beautiful gardens. If you want to take a day trip from Rieti, consider Velino or Tronto, which both have plenty of historic churches, castles, and monuments. Rome is definitely one of my favorite places to visit. It's the perfect place for every visitor, you can find great food, great entertainment, amazing views ( Rome is like an open museum! ), sightseeing, so much history, great city energy and overall a perfect destination! The city itself! Don't miss out Fontana Di Trevi. We booked an apartment close to the city center thanks to Airbnb so we had everything within arm's reach. No buses are needed, all the monuments, sighseens are pretty close to each other. On every corner you can found small shop with water, fruit, tabacco to souvenirs. Prices are not adequate, but what would you expect, right? Most of the historical places are for free, except for Colosseum, The Forum Romanum and The Sant Peter's Basilica in Vatican. For all of them you have to wait in long queues u less you buy Romapass in advance. A must see. Recommend getting skip the line tickets to be able to see all of the incredible sights in a short amount of time. Food, shopping, and full of history!